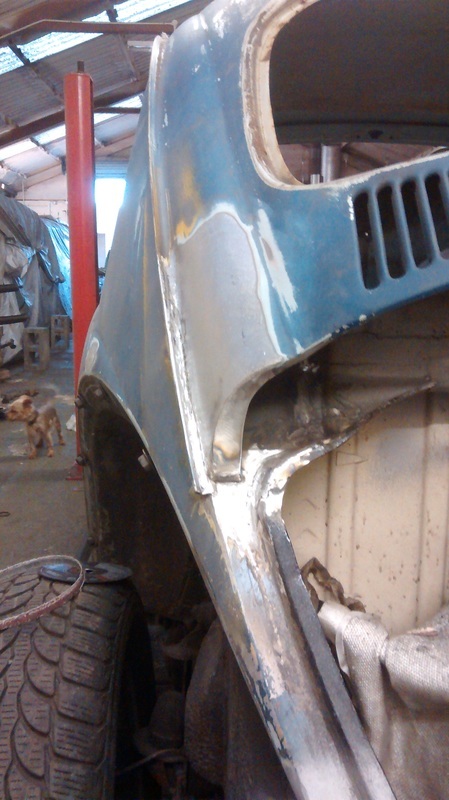 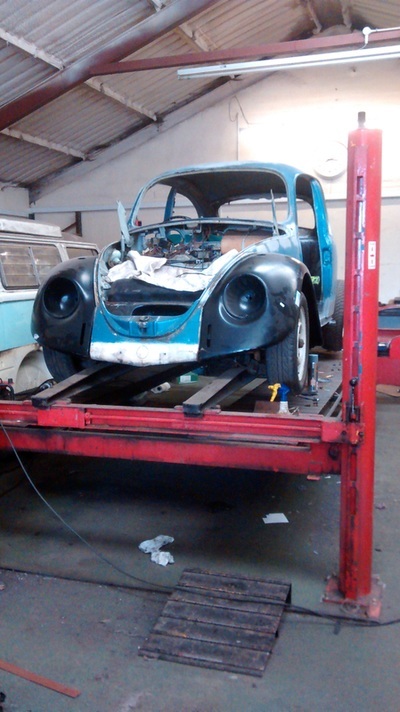 One of our first jobs, the customer bought this classic 1972 VW Beetle as a project, stripped out the interior and window glass himself and then trailered it to us for restoration welding work. 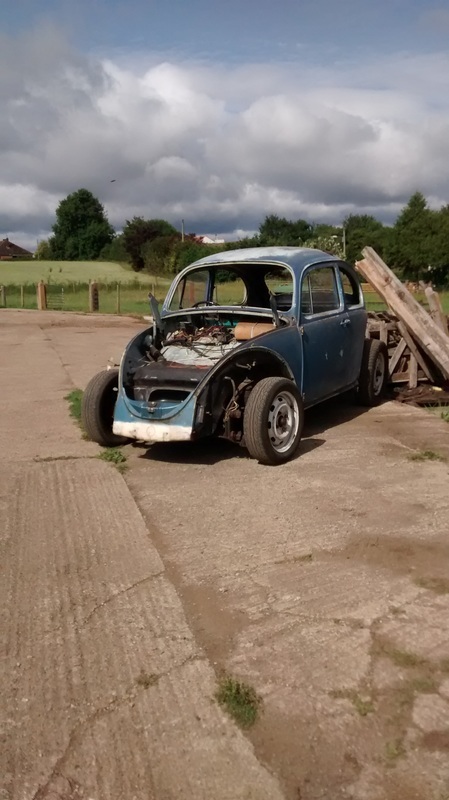 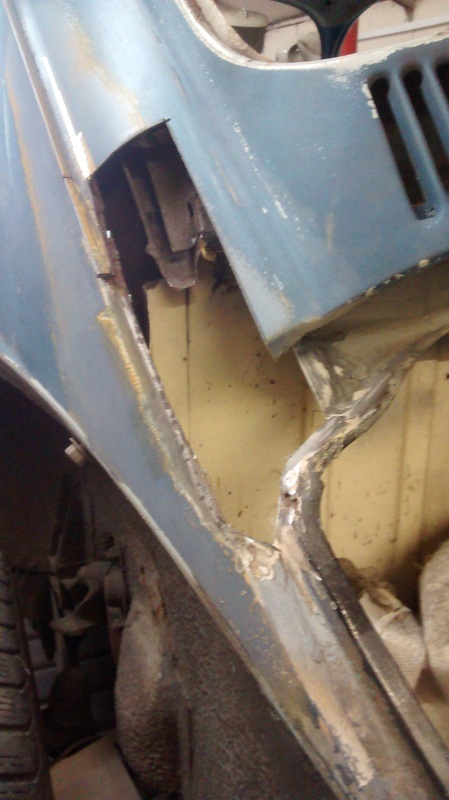 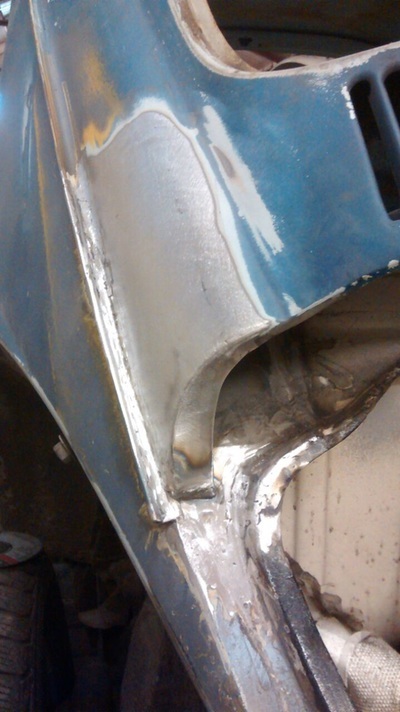 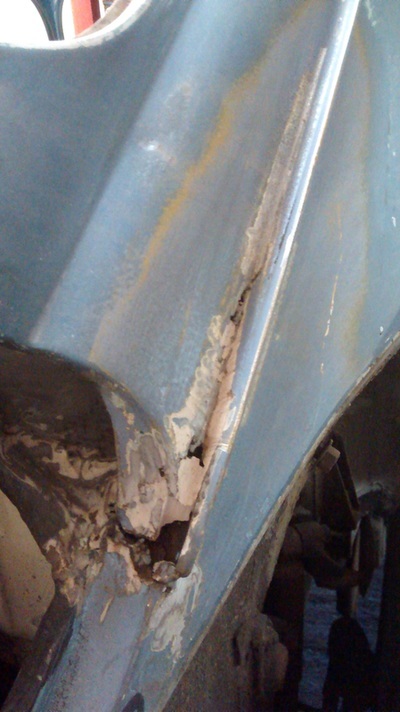 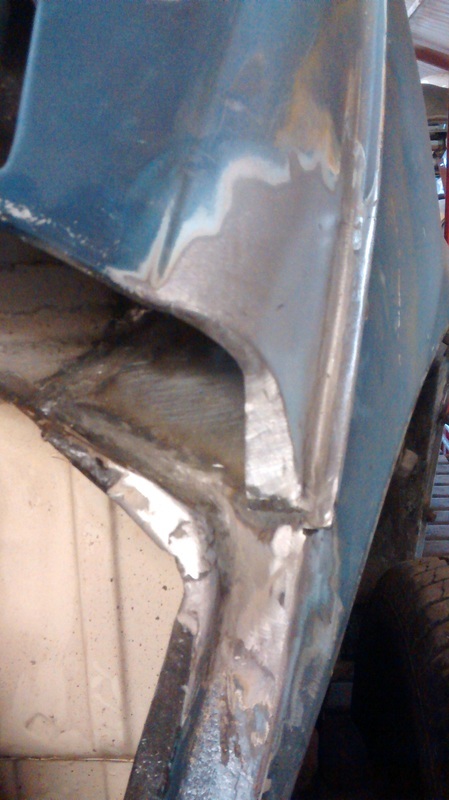 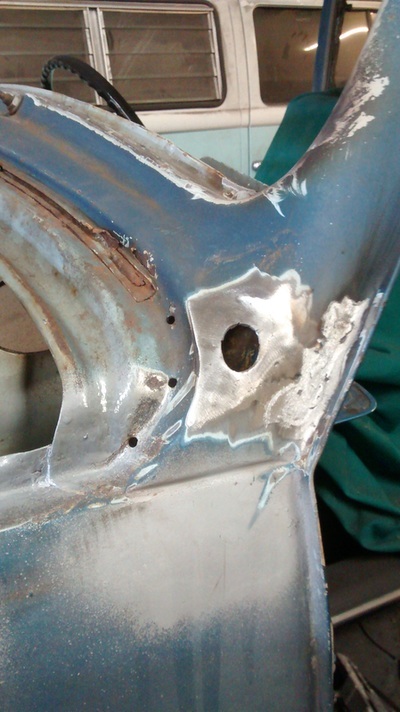 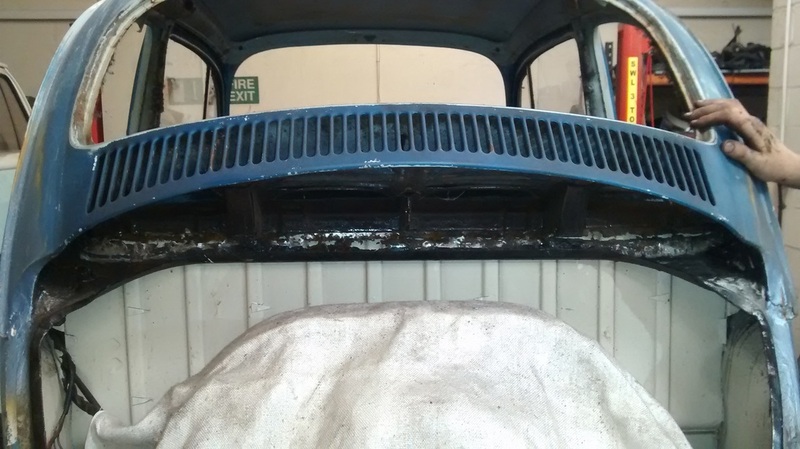 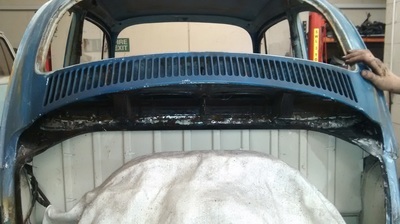 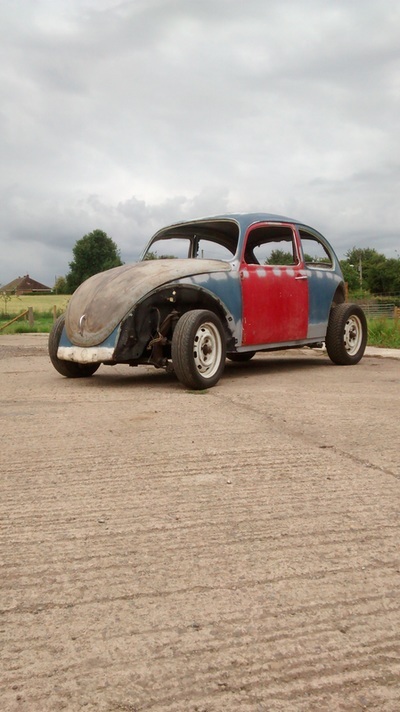 All the rot was chopped out and replaced as well as welding up the chrome side trim holes, fitting tidy, original rust-free beetle bonnet and doors and repro front wings. 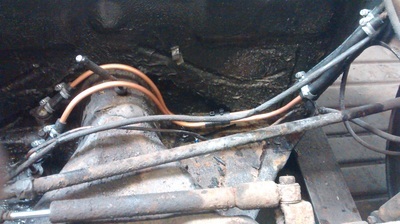 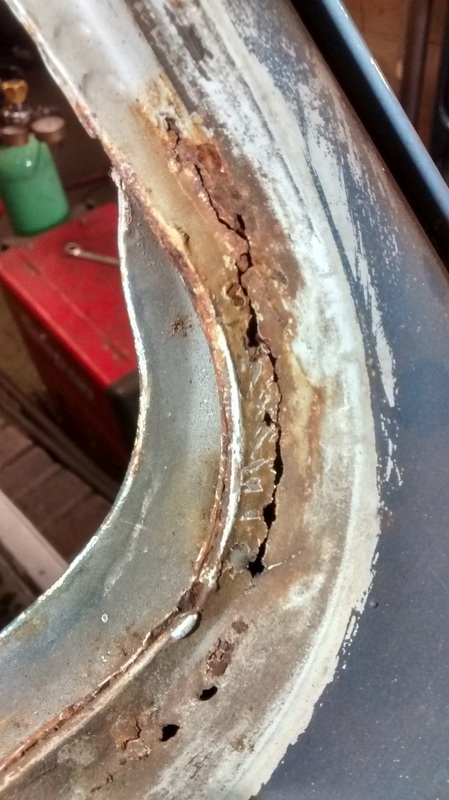 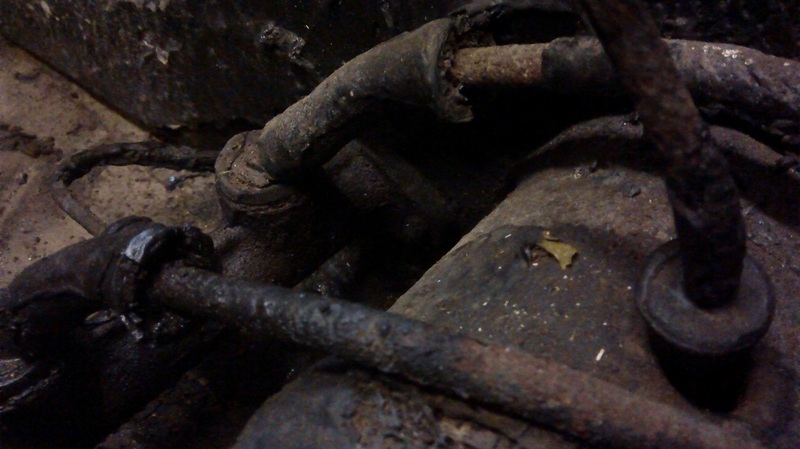 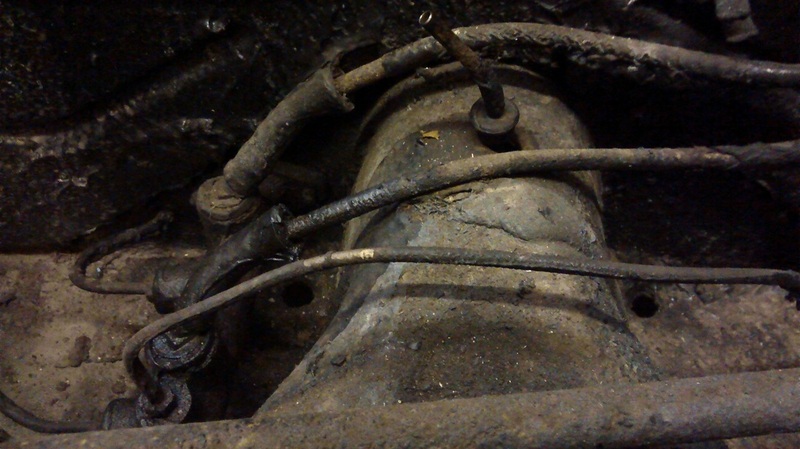 Finally we replaced some rotten brake pipes and stripped, cleaned and adjusted the brakes. 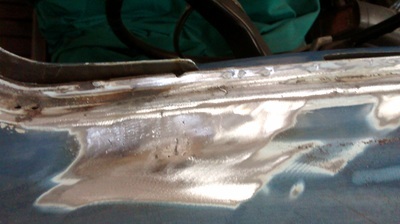 It was then collected by the customer to take for painting. 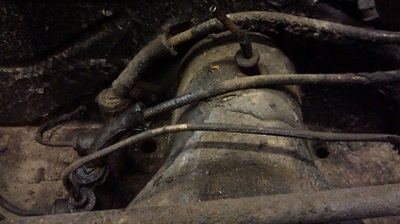 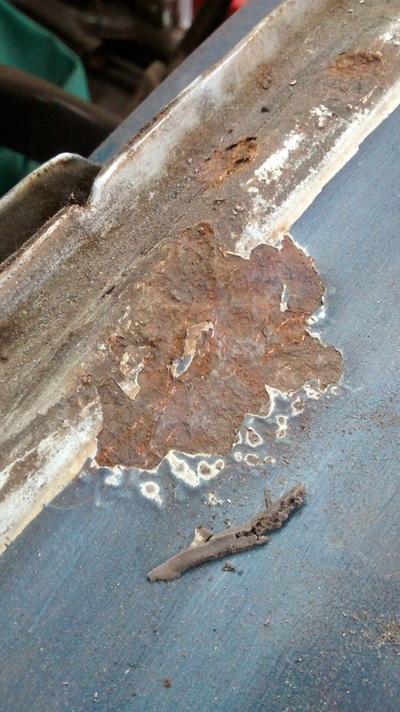 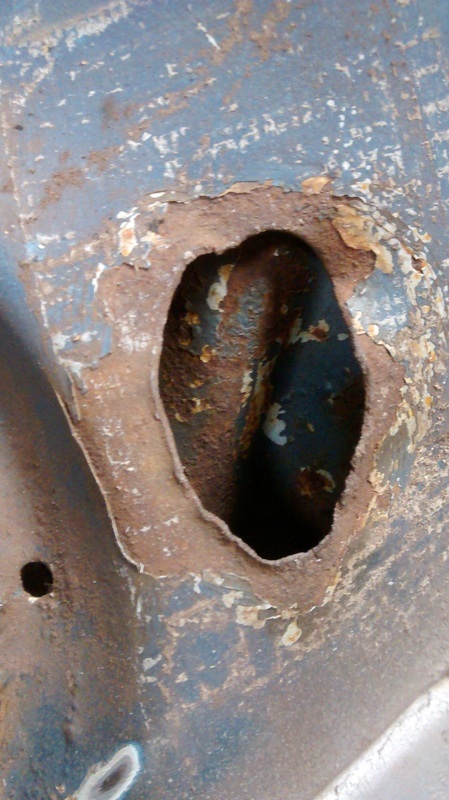 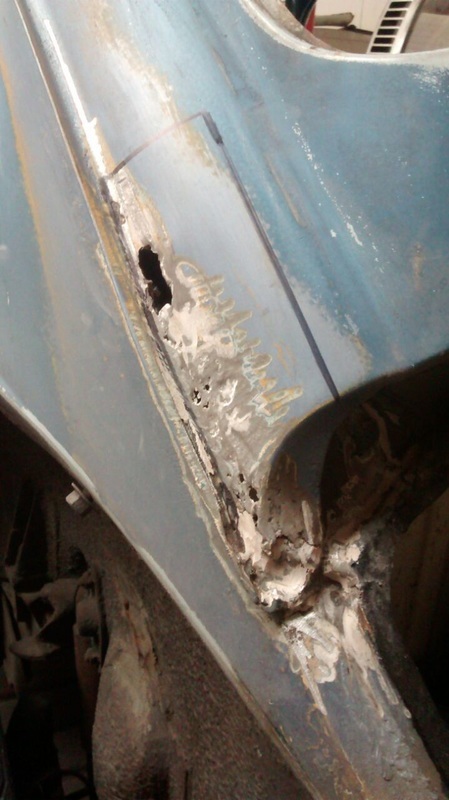 72 VW Beetle- rotten section under rear vent. 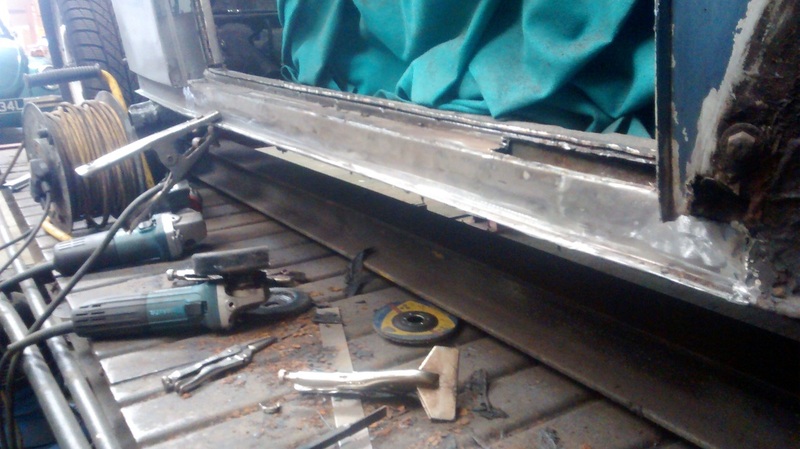 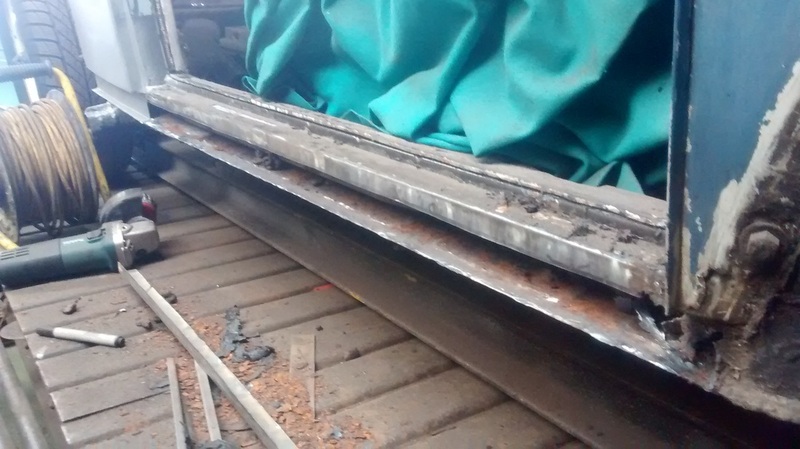 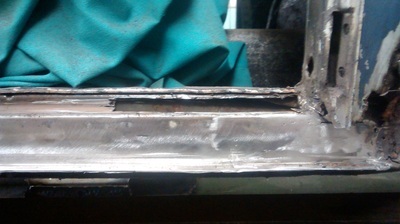 Full new section was fabricated.